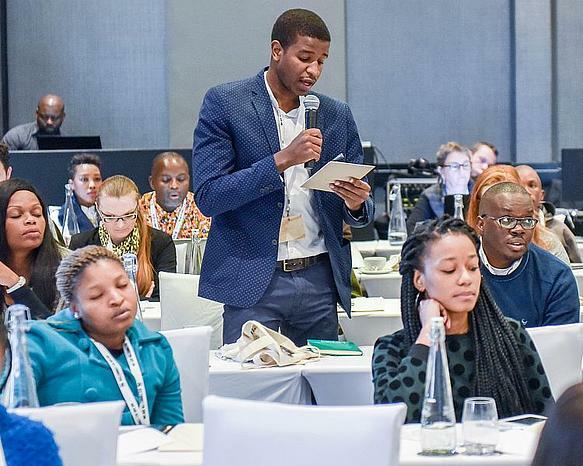 WWF South Africa’s Living Planet Conference held on the 25 July 2018 at Sandton’s Maslow Hotel broke all boundaries by hosting a leading session geared specifically towards empowering South African young professionals. The flagship ‘’Young Professionals Think Shop’’ was hosted and developed by our very own young professionals within WWF. Through collaboration with SASSI and its volunteer network, it proved to be a phenomenal success. The workshop creatively coined as a ‘’Think Shop’’ brought together more than forty young professionals (based in Gauteng) from around the country to assess environmental shocks, such as droughts and floods, to minimise their impact on the economy – and the people of South Africa. It was a jam packed session with debates revolving around the food, water and energy nexus. This Think Shop created a platform at the ‘’Great Debate’’ event for fresh minds to interact and pose some serious questions to some of South Africa’s current leadership. Due to the exceptional need for such engagement and involvement of young professionals, we foresee this event to be even bigger and better in the years to come!